October is the perfect time to think about food and Epcot. The World Showcase promenade is peppered with kiosks for the International Food and Wine Festival and the air is filled with the deliciously tempting scents of the amazing dishes. That is all well and good, but last October, I also took time to investigate the newly refurbished and redesigned La Cantina de San Angel. 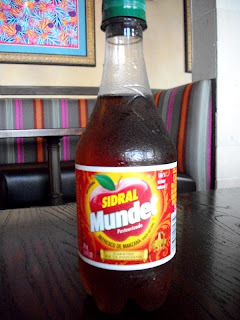 My wife and I wanted to get a broad taste of the restaurant, so rather than choosing a standard water or Coca-Cola, we opted for the Agua Fresca and a bottle of Sidral. My wife like the fruit infused water, but did not feel the Agua Fresca was worth the extra cost. 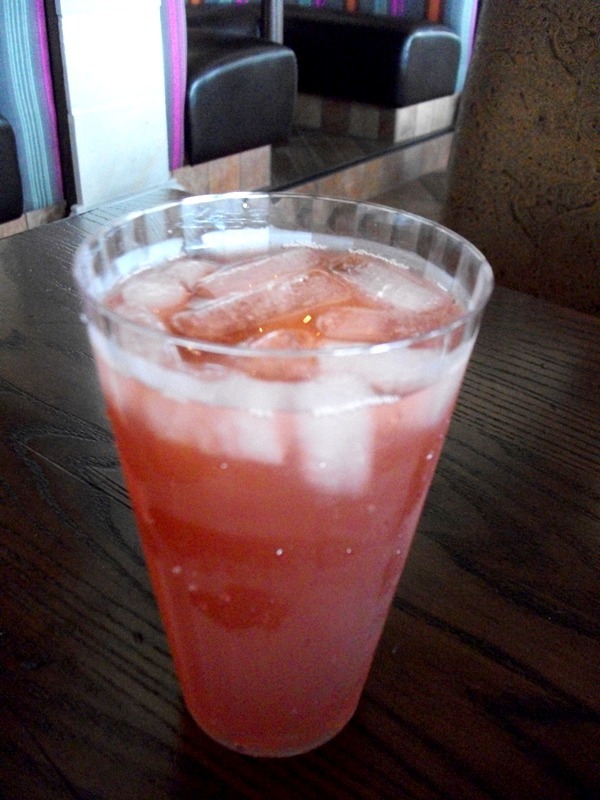 As for my Sidral, I was thoroughly pleased with this apple soda, although again I was not entirely sold on the rationale for the upcharge above regular beverages. 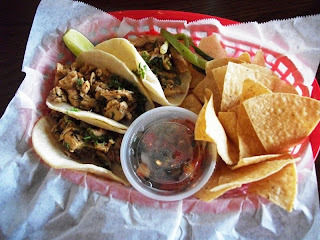 For our meals, my wife and I selected the Tacos de Carne and Tacos de Pollo. 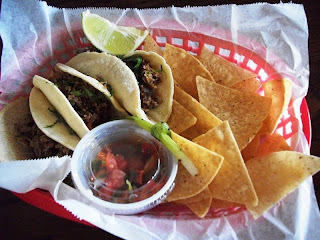 Each meal came with three small tacos on homemade corn tortillas, lime, Pico de Gallo and tortilla chips. I have heard complaints about no true side dishes, but the tortilla chips and salsa made for a fine supplemental dish in my mind and stomach. Also, some have taken issue with the handmade tortillas, but we both found these to be closer to traditional tortillas than anything else we had tasted in a restaurant before. It may take some getting used to for those unfamiliar with them, but it was as if one of our family friends had made them for us and shipped them to World Showcase. As for the meat of the tacos, they were both excellent. The marinated chicken was succulent and flavorful and we both gave it two thumbs up. As for the grilled beef, my wife thought it had a good flavor but was too dry, whereas I thought it tasted just fine. Then again, I do tend to like my meat a bit dryer. The only real concern for these two entrees again comes back to the price points at which they are presented. For the cost of each meal I would have expected two side, the tortilla chips and perhaps either rice or beans, or both. La Cantina de San Angel has a new feature, before the massive renovations seating was only available in outdoor seating venues. Now, as the story supports that the La Hacienda is a house where guests have stopped by for a meal, La Cantina patrons have a choice of seating outside along the shores of World Showcase Lagoon or inside La Hacienda, at least during the day. The ability to dine inside truly takes the sting out of the midday sun and allows guests to take in the simple elegance of a Mexican Hacienda. Overall, my wife and I enjoyed our meal at La Cantina de San Angel, but the bill gave us indigestion. The restaurant has been filed away in my memory as a location that I would love to try again, with a note reminding me that it was not as economical as most Mexican restaurants I frequent. I recommend everyone giving the restaurant a try, provided the cost of a meal here isn’t going to leave a sour taste in your mouth. I agree with your comments and had a similar experience during a recent trip. At the same time, it was the most expensive TS meal that we had that week. The food was very good but at the same time, I think the portions were better before the renovation. Will we go back? Most likely so. But I hope they "plus" the menu a bit between now and then.